The survey should take 5 minutes or less. 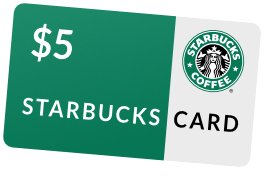 As a thank you, we will email a $5 Starbucks gift card to the email address you provide. 1.How many ultrasounds (including vascular and echocardiogram) does your practice refer on a weekly basis? *One survey incentive per person and/or email address.